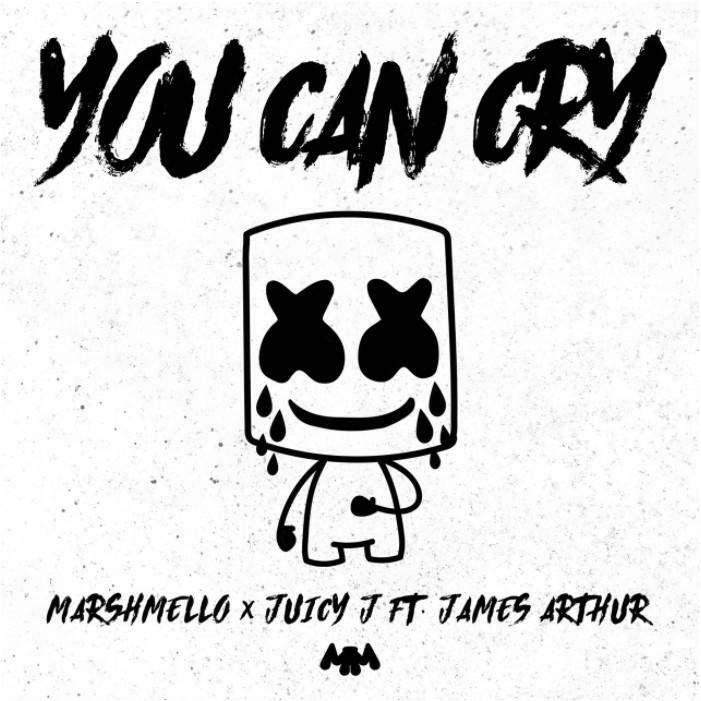 Home>New Songs>Marshmello Songs> Marshmello & Juicy J Team Up For The Bouncy "You Can Cry"
Marshmello is establishing himself as one of the top DJs and producers in the realm of dance music as he builds an impressive list of collaborators. From Khalid and Selena Gomez to Lil Peep and Logic, the DJ has enjoyed a string of successful radio hits in the last 12 months. His next effort is a collaboration with Juicy J, featuring vocals by James Arthur in a track that will likely rule the airwaves once again. James Arthur sings the hook flawlessly while Juicy J brings his signature bars to inspire positivity and emotion, telling his girl that she can cry on his shoulder whenever she feels the need. Noting that hard work pays offs in his second verse, Juicy has a new banger on his hands as this is perfect for the summertime. Wizkid & Duncan Mighty Spread Their Displeasure For "Fake Love"
SONGS Marshmello & Juicy J Team Up For The Bouncy "You Can Cry"